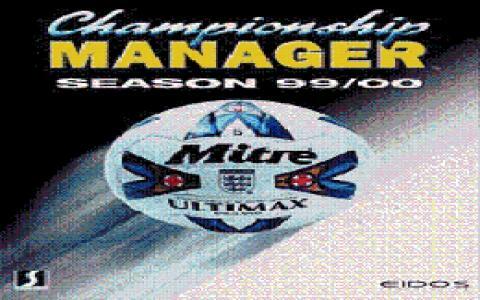 The previous game in the series, Championship Manager 3 is still used as the core game for this update, but Championship Manager: Season 99/00 contains a few new substantial additions. The additions are the American MLS and a new championship, the World Club championship. But the core game is the same: the match engine, while tweaked is still the one pertaining to the third edition, while the customizable schedule for training, and the tactics system have pretty much remained unaltered. 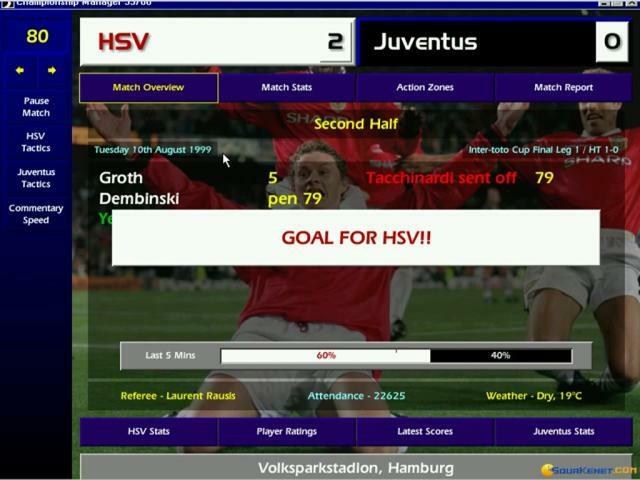 Graphically, the game uses the updated interface of the third game, which included a vertical menu, the traditional horizontal additional bars and the backgrounds while still static are a bit more higher resolution than the thirds series. So, is it worth a go? 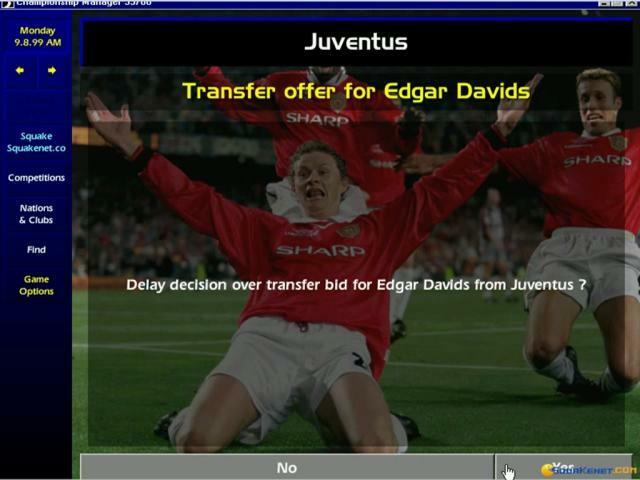 Sure thing, CM 99/00 cleaned out a lot of the issues of the third installment, the two new additions make for more varied gameplay and the database contains updated information, to keep the game fresh and interesting. 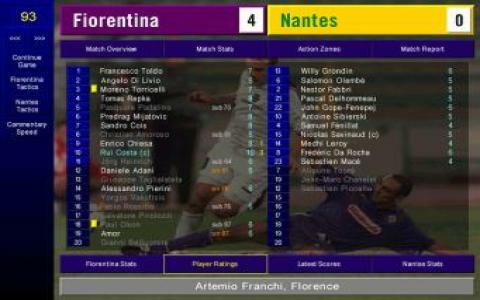 Overall here you have a modern soccer manager and a might nice choice for anyone digging in the history of the series. 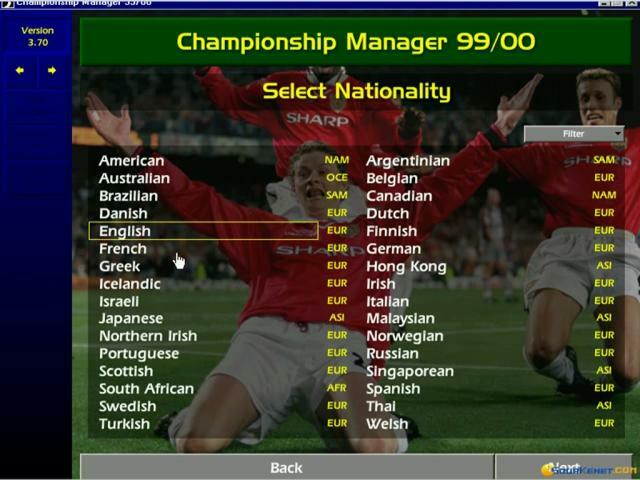 Championship Manager 99/00 is a soccer team management video game developed by Eidos Interactive as part of the great Championship Manager series. 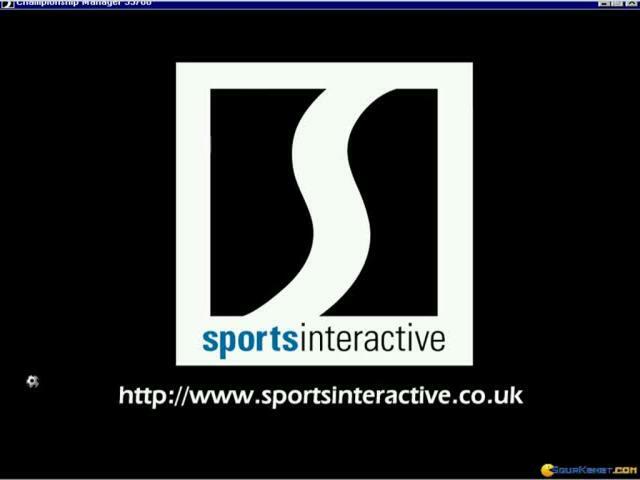 The game puts you in the seat of a soccer team manager, whose job is to make sure that the team makes progress. Do achieve this, you, as the manager, have to perform tasks like, buying new players, resigning the players who aren't making progress, plan new tactics and so on. There's not much gameplay in the game because all you do is working with all sorts of menus, but it's not very cryptic, so new-comers won't encounter much problems trying to play this game.